The stimulant classes of drugs include cocaine, amphetamines, ecstasy (MDMA) and certain ‘head shop’ drugs such as mephedrone. These drugs work on the central nervous system and dopamine pathways and interfere with the ‘reward centre’ of the brain. This results in users continuing the use the drug for its pleasurable euphoric effects. Symptoms of cocaine use, for example, include increased energy and mental alertness, hyperactivity and possibly tremors, euphoria, talkativeness, rapid pulse and raised breathing rate, raised body temperature and blood pressure, a runny or stuffy nose and occasionally a bleeding nose, a decrease in appetite, an inflated sense of power or strength, confusion, paranoia, panic and anxiety, hallucinations and dilated pupils. Users coming down off cocaine often suffer from lethargy, intense sleepiness and often depression. 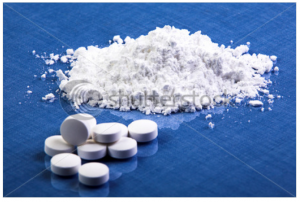 Currently there is no drug that has been proven to successfully treat stimulant abuse. The intervention with the greatest evidence base is cognitive behavioural therapy. The programme at the Priority Medical Clinic will help patients deal with the consequences of drug use.